This Wells Fargo card offers 3X points on dining, gas, and travel. That's a big rewards rate in more categories than cardholders are used to - plus, the bonus categories include extras like rideshares and rental cars. Most notable features: Discover's hallmark feature of matching all cash back earned in the first year remains one of the most valuable offers of any credit card. Activate each quarter to take advantage of its 5% cash back on an eclectic mix of rotating categories up to the quarterly maximum of $1,500 in purchases. How to make the most of it: Make sure to set your e-mail preferences so you get reminders from Discover to activate your earning on the upcoming quarter's bonus categories. That way, you don't have to worry about missing out. Most notable features: The revamped Propel card is already making a big splash in the rewards scene. It has everything a rewards aficionado looks for: a stalwart sign-up bonus of 30,000 points for spending $3,000 in the first 3 months, along with generous rewards of 3X points on travel, dining, and popular streaming services. Most impressively, it does all this without charging an annual fee. 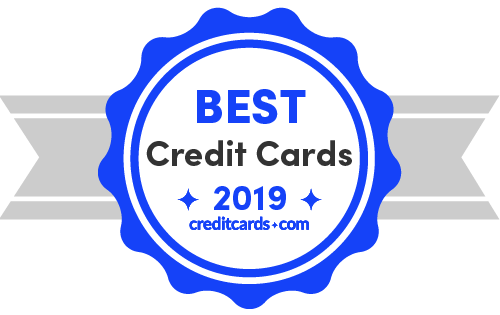 This easily makes it one of the top offers of any credit card in 2019. Why we like it: The Propel punches way above its weight class with the magnitude of its intro bonus and rewards – these are exceptional for a credit card with no annual fee. How to make the most of it: Don't forget that it's a great credit card to bring with you on trips abroad, since no foreign transaction fees are charged. This means you can take full advantage of the Propel's rewards on travel and dining at international locations as well. Also consider: The Capital One Venture is an alternative worth considering if you don't mind paying the annual fee that comes with its larger sign-up bonus.